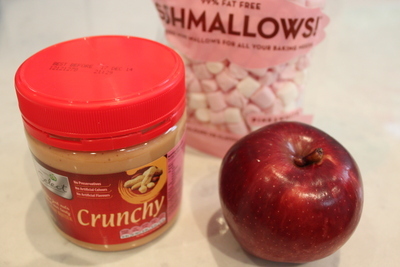 I originally saw these fantastic apple and marshmallow smiles on the Autism All Stars UK website. Here is my version of them. They are very easy to make and even my 3 year old enjoyed assembling her own. They would make fun snacks at a birthday party. 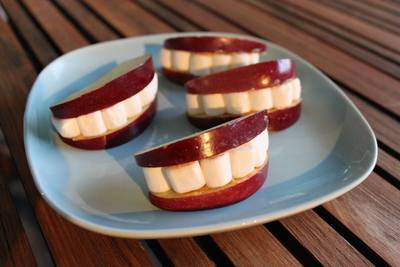 Or you could pop one on a plate to make someone smile at lunch time. 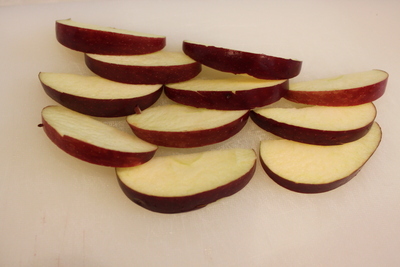 Cut the apple into thin slices. 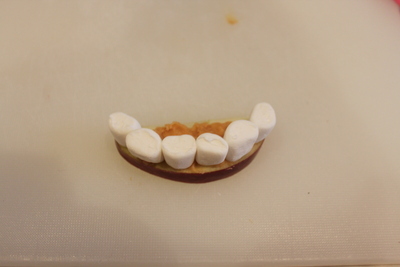 Keep the slices quite flat rather than wedge shaped to avoid the marshmallows sliding off. 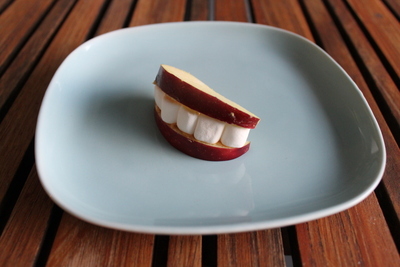 Your Chattering Teeth Smile is ready to eat. Enjoy! Puts a big smile on my face.Thanks for sharing this with me . You have to smile when you see this! !